WINE THOUGHTS Wine Pairing in 3 Easy Steps - KFC and Champagne? Why not? I’m not spitting out wine terms: I’m talking about a hamburger. Acidic tomatoes, sugary ketchup, fatty cheese, and big, bold flavors from the meat, all coming together as one. 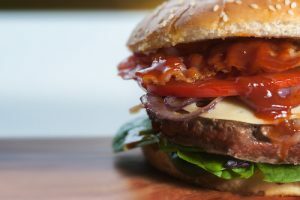 And wine pairing is just like hamburgers; its all about the compare and contrast of flavors and textures; the wine either brings new elements to the dish, or complements the ones already there. Not only are hamburgers like wine pairing, they are delicious. That means you must assign descriptors to the burger (and wine) other than “very good”. Remember, as the late Robin Williams said, “very” is lazy. Whether you’re balancing the burger ingredients, or balancing said burger with wine, you have to understand the components of each. So start with the video above ↑ and then, let’s dive deeper. 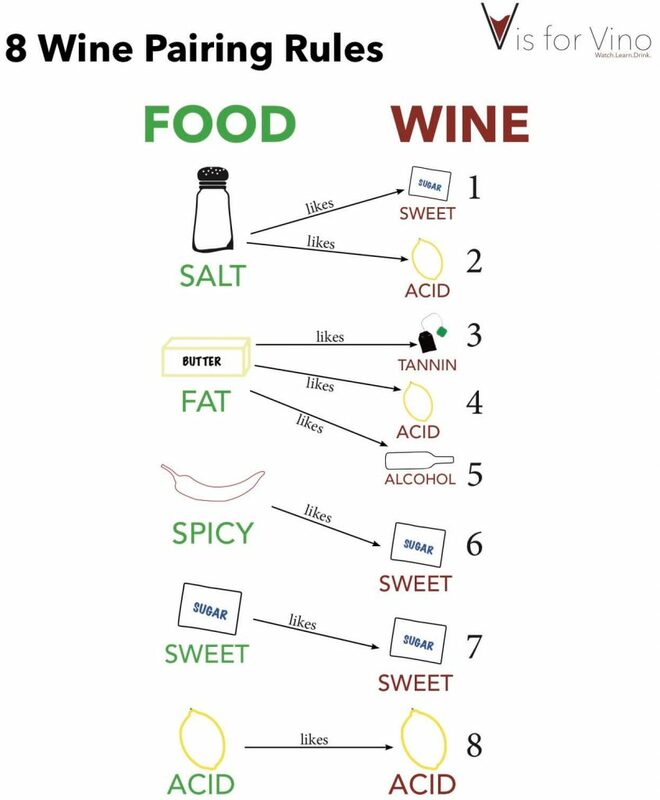 And if these terms sound like gibberish (acid, tannin, body, etc) then make sure to SIGN UP to get the FREE wine pairing guide and more wine content broken down simple right to your inbox. First things first: there are no rules. You can pair whatever you like with whatever your heart desires. But with a little method to your madness, you’ll give yourself better odds than you gave yourself on poker night last week (face it, you have a terrible poker face). And that’s the goal: to give yourself the best chance at a successful pairing that enhances both the food and wine. By the way, we get into this in a lot more detail (including explaining all these terms like acid, tannin etc.) 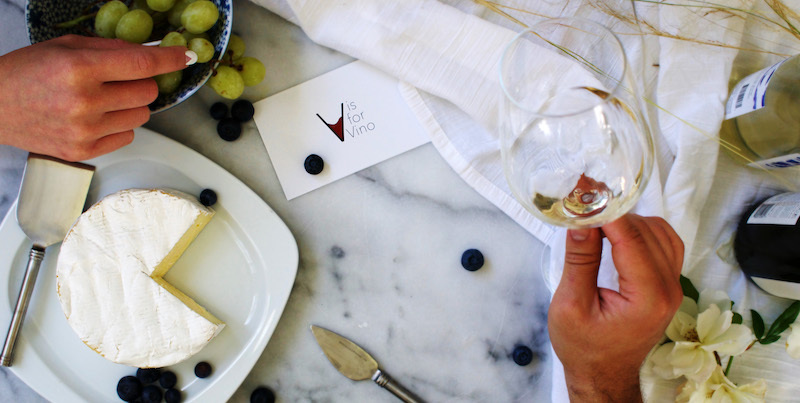 in our “Ultimate Wine Pairing Guide” so make sure to get it free HERE! 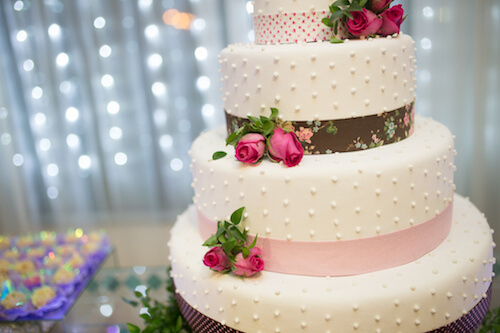 from now on, only wedding cake and sweet dessert wine will do! Would you eat sushi and spaghetti and meatballs on the same plate? Unless you’re at a Vegas buffet, probably not. That’s because their weights don’t match: sushi is light and delicate, and spaghetti is rich and filling. One (I’m looking at you spaghetti) would overpower the other. Same thing for wine. Just like foods, wine has weight; it’s how heavy a wine feels in your mouth. And you should do your best (with a few exceptions) to match your wine and food weight. 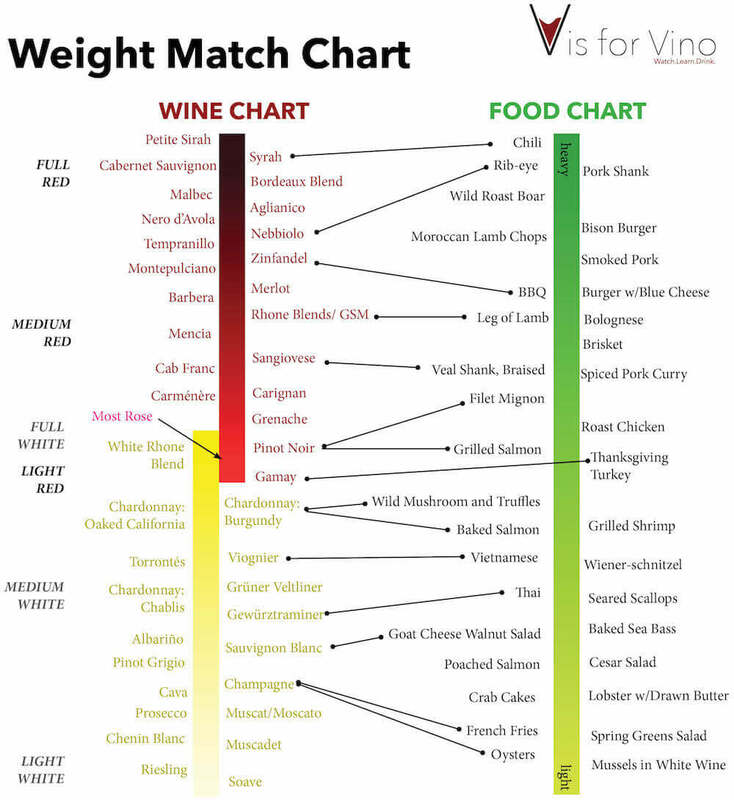 The chart below compares the weight of some dishes to wines. It’ll give you an idea of some pairings that may go together. And the spectrum overlaps with white and red; full-bodied whites feel about the same in terms of weight as light-bodied reds. Light delicate oysters with light-bodied muscadet? Check. Full-bodied Chardonnay with rich decadent lobster? Check. Lean lighter meats like chicken with light-bodied Pinot Noir? Check. Fatty bold meats like steaks with Cabernet? Check. Get it? Do you want your wine to complement your food or bring something new to the table? Earthy Pinot Noir goes great with earthy mushroom risotto. Spicy Thai food is balanced by fresh, crisp, honeyed Riesling. Decide if you’re an “opposites attract” or a “stick with what ya know” kinda person: matches are safer, but contrasting can be more exciting! And that’s it! Like anything worth doing, it takes some practice. But as practice goes, eating and drinking isn’t so bad. And if you need any help reach out on any platform (Facebook, insta @visforvino) and I’ll help ya myself!